Still too dangerous to play outside under the trees, so the children enjoyed the deck. We enjoyed an early winter storm this year with comfort. Thanks be to God for wood stoves and candles. We were able to cook on the wood stove, and in the evening we could still read by candlelight. During the moments we had electricity, we filled containers with water and did other necessary things. 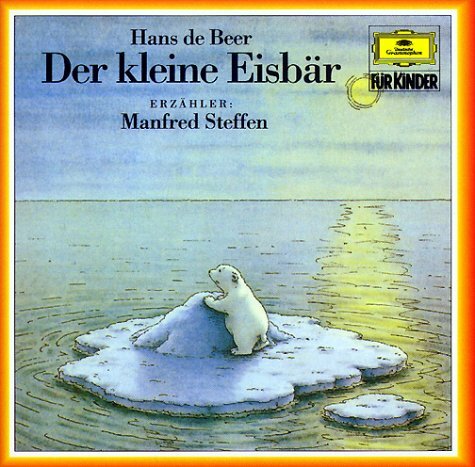 The children were also able to listen to “Der kleine Eisbaer” (The Little Polar Bear) by Hans de Beer in those moments. This is sure to be a new winter favorite, and the story was told so well that even my 3-year-old joined in to listen! Enjoy watching a set of 4 video lectures by Mr. Rolling discussing what logic is and ways of developing it among children, then experiment on your kids with “tasks” he gives you. Live colloquium on November 3, 2011 at 8pm ET. First Video will be available by October 17th. Free for parents of students; $20 for other parents. As you already know, we are constantly trying to save money. We also like to know what goes into the things we use around the house, not just food, but cleaning materials as well. My mother has been making her laundry detergent for a while, and just last year she sent me the recipe as well as a personalized laundry detergent kit. So far, after one year of using the detergent, I have noticed no problems either with clothing or skin. Grate bar of soap and add to sauce pan with 4 cups hot tap water. Stir continually over medium-low heat until soap dissolves. Fill 5 gallon bucket 1/2 full with hot tap water. Add melted soap, washing soda, and borax. Stir well. Finish filling bucket with hot tap water. Stir, cover, and let it thicken overnight. Fill containers with the detergent. I use 1/4 cup per load of laundry in our front loader. 5 gallons lasts 10-12 months in our household of 6 (with 2 in cloth diapers). ART ~ How to Draw a Duck: These next three weeks we will be exploring artwork by John James Audubon. To begin this three-week focus, we learned how to draw a duck. I demonstrated how to draw a duck with some basic shapes that the children know, then I let them try with their pencils. Once they had drawn with pencils for a while, I gave them colored pencils to work with as well. The children seemed to enjoy this activity a great deal, proudly drawing in the duck’s environment as Audubon does in his artwork. SCIENCE ~ Cloud Formation. During this second quarter, we will be exploring weather. This week students made a weather observation station by gluing a weather observation chart to one of our recycled insect boards. Families are to record local weather for six weeks with the instruments they have at home (thermometer, rain gauge, barometer, etc.). We also did an experiment to discover what three ingredients go into cloud formation! You can go to this website for more activities and ideas to try at home: Counting on Clouds. There are days when I think I will never teach my children anything, and there are days when I think I will never have a quiet moment again… And then there are moments when everything is just right. The other day I had finally finished cleaning the house, the babies were napping, and I looked up as if for the first time to take a breath all day, and what did I see? My older two children sitting quietly at the table, drawing with their art kits, their caterpillar jar between them, while Bach is playing in the background. I took a deep breath and sighed with a smile. Moments of peace do happen in the home, but one mustn’t forget to look up to see it. We made it to do our annual apple canning this year! It was a tag-team effort, Papa and the children chopping apples while Mrs. Rolling taught classes, and Mama making apple sauce and canning while Mr. Rolling taught. In the end 1 1/2 bushels were jarred, and 1/2 bushel is slowly being dehydrated. The children were such a huge help this year! After Papa peeled, cored, and sliced, the children sorted the peels into the crock-pot, the cores into the compost bucket, and the slices into the apple sauce pot. Assembly Line Ready for little Helpers! What do we make with so many apples? chunky apple sauce for crisps, crumbles, cobblers, pan-dowdies, etc. Many opportunities for little hands to help. This is truly a favorite activity for our family as everyone gets to pitch in. The children are especially enjoying the dehydration of apple slices, since they are allowed to fill the trays (after Mama slices the apples) and remove the dried apple slices into zip-lock bags for pantry storage. We are not finished, however … one more bushel is needed! A textured fabric adds strength and helps with scrubbing. Every year I have to re-evaluate last fall’s clothing, and every year there are several shirts that should be thrown out. Rather than throw them into the fire, I cut off the ruined parts, which are trashed. The rest I use for a variety of projects, i.e. patches, quilts, ragdolls, and washcloths. For washclothes, I do not use any old T-shirt, but I choose a ridged, cotton material as seen on the left. This will help with scrubbing! Cut your clean fabric into a 8″x 8″ square. This does not need to be perfect. We are aiming for practicality, not necessarily style. Sew two rows of zig-zag lines along the edges about 1/4 inch fron the outer edge. If you choose a contrasting thread color, your washcloth will look quite trendy in the granola way. These washcloths have worked well for me and have lasted longer than the cheap ones from the grocery store. This is a great first sewing project for young children as well, since no one will be wearing the washcloth. Mr. Rolling reads the English children's books. We are now deep into Kenneth Graham’s Wind in the Willows, illustrated by Inga Moore. This is an abridged version of Wind in the Willows, but it seems a good abridgement, not too much being lopped off. The illustrations are breath-taking, and our children are constantly trying to sneak away with the book to spend hours looking at the beautiful pictures. The Kindergartener is into the story, so she is anxiously waiting each day to hear more. The preschooler took some convincing, but thankfully Mr. Rolling has created a different voice and accent for each character. Rat has a strong Scottish brogue, and Mole sounds like an erudite Englishman. These are the two favorite characters of the children so far! The toddler just loves to be part of the team, participating in whatever his older siblings are doing. What an advantage he has without knowing it yet. After 12 weeks of homeschool, we are finally settled into a routine. This means that daily craft time becomes easier and easier! Inspired by art at Catholic Schoolhouse, I had the kids do a fall tree with cut paper and crayons. They each had a small piece of red, yellow, and orange paper, which they cut into pieces. While they were busy cutting, I drew a tree without leaves on a sheet of blue paper. For the pre-schooler, I drizzled glue on the tree for him, so he could focus on picking up the small snippets. This was easy and required barely any preparation at all! Both the Kindergartener and Preschooler loved this activity! They were very proud of themselves for thinking to make leaves “falling” from the tree as well as placing leaves on the ground.